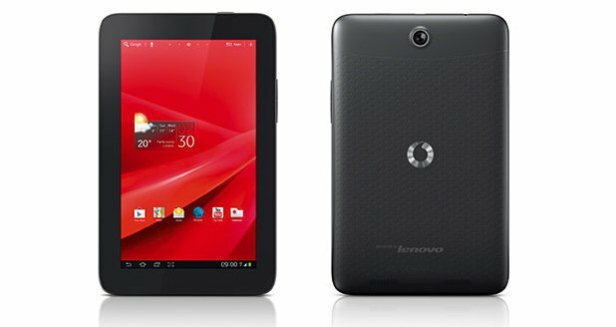 Similar to other similar tablets, the Vodafone Smart Tab II 7 comes with a versatile look given by its thin display and the high technology it uses. Launched in November 2012 by Vodafone, this is the tablet that many people would like to own. If you are one of the lucky ones, this article is perfectly suited for you. Apart from introducing you to the main features and showing you how to make the most of your experience, we will also present the master reset process for this device. This procedure is perfect if you’re like to erase everything from the memory of the tablet, in case you’re selling it to someone, if you forgot the PIN code or in case you’re dealing with software issues. Such problems are due to various reasons and the hard reset is the best solution to make sure that all possible causes have been removed. All risks involved are the responsibility of the user who has to take into account the possibility of losing data! The Vodafone Smart Tab II 7 runs on Android OS v4.0.4 and comes with a non-removable Li-Ion 3550 mAh battery with a duration of maximum 7 hours. Having a TFT capacitive touchscreen attached with multi-touch, the device allows up to 10 fingers using the display. The tablet is equipped with 2 cameras, uses an amazing Wi-Fi hotspot and supports 2G and 3G networks. We indicated in the beginning of the article that data loss can be one of the damaging results of the factory reset. The only way to avoid losing anything important is by saving the files on another device. A copy of the most relevant files will help you restore everything once you’re done with the important steps of the operationg. Feel free to download the Phone Copy application for such purposes or use any other app you prefer. Open the Privacy folder and scroll down to the Factory Data Reset option. Confirm your option by tapping Reset Device and then choose Erase Everything. The Vodafone Smart Tab II 7 is now ready to be used. The operating system will have been refreshed for a better response time while all settings will have been restored to default. It is your responsibility to check if everything works fine and take the device to the closest service in case it failed to respond to the method above.